If you liked this show, you should follow .Kaye-WYFH Radio. Join us as we share of good memories we've had from hula hooping. Have you ever tried it using a weighted hoop? Did you know by using it just 10 min a day you can lose 2 inches a month? Anyone can keep this one up, & it helps you laugh, burn calories and feels like it massages you & breaks down for storage and travel. Hula Hooping is Healthy By D.K. Finley Help yourself to some fun that's healthy for your body, mind, and spirit. 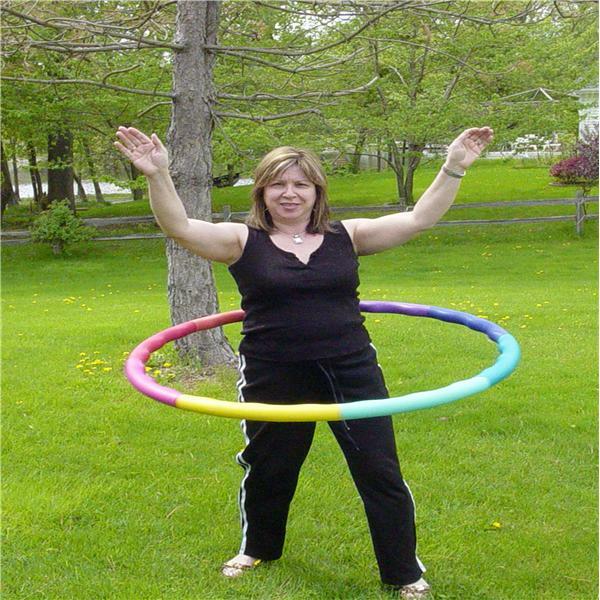 At Mayo Clinic's website, a question is raised with the article, "Weighted Hula Hoops: Exercise gimmick or good idea?" Doctors are giving hooping a thumbs up. Cardiovascular benefits while burning calories and having fun are just a few of the many benefits. (Hooping 10 minutes a day can take away 2 inches from your waistline in a month) If you think you can't do it because you could never keep up the regular original hula hoops, you're wrong. Even the most uncoordinated person can learn to hoop with our weighted hoops. Though it might sound hard to believe, using our weighted hula hoop is much easier to use versus the light weight original plastic ones which are impossible for most of us to keep up. While hula hooping with our hoops are fun,and liberating, it also makes you laugh and feel like a kid again. I've had many people time and time again tell me those exact words, and even have a testimony of someone you can hear at http://www.shoutlife.com/anchoredheart that left an audible message on my voice comment box leaving those exact words. The book of Proverbs says," Laughter is like a medicine and marrow to your bones." Science agrees that laughter makes blood vessels work more efficiently and produces the natural feel-good endorphin hormones, which can help reduce stress, aid relaxation and sleep, and produce a natural "high." Also the laughter-producing endorphins build up the body's immune system! (Join us for a fun/informative time Sat. May 15th 11AM-12PM CST) Call in contests too!